Hyundai Santro vs Maruti Alto K10: Safety Features or Automatic Gearbox? Maruti Alto K10 sits on the lower segment than Hyundai Santro. Which one will make a better case for customers? On the entry-level hatchback segment, Maruti cars have ruled throughout all the price range. 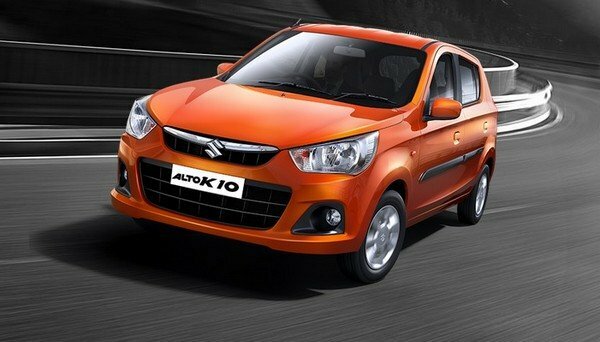 With the starting price of 3.35 lakh, Maruti Alto K10 takes over the lower-priced range as one of the best-selling cars. While Maruti makes big money on the hatchbacks section, Hyundai is not selling well on this segment. 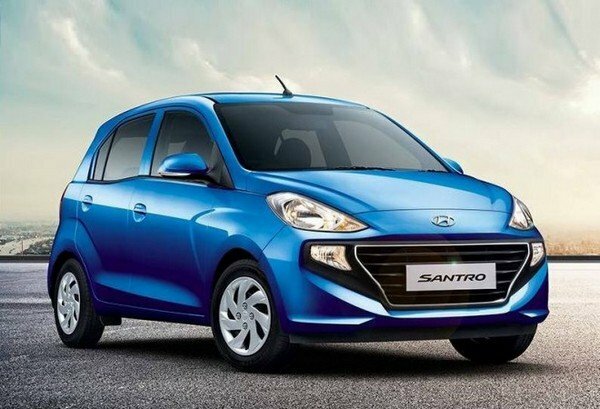 With an intention to boost their sales in this area, Hyundai has incarnated its popular hatchback Hyundai Santro a decade ago. On its return, the Santro’s top variants will overlap with Maruti Alto K10’s top variants. Should you go for the top-variants of the best-selling Alto K10 or new rising start Santro? Here we will give the variants comparison that you need to decide which one to buy. With these dimensions, it is no doubt that the Santro has a clear advantage of larger interior room, be it legroom, headroom or shoulder room. Besides, the Santro also houses a larger boot space than the Alto K10. With the limited 177-litre boot room, you cannot expect to load large luggage into the cargo space of the Alto K10. Apart from the big difference in terms of the exterior dimensions, the Alto K10 and Santro also differs from the other with regards to its style. For example, the Maruti Alto K10 has a very straight-forward design. Humble and simple, it has no intention of standing out or be imposing. It is a smart stance for a mini hatchback like itself. 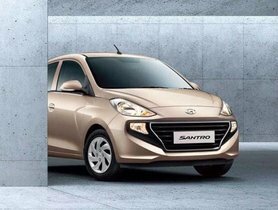 On the other hand, even Hyundai Santro still keeps the common characteristics of a hatchback, we still can point out some intentional and playful twists to make it distinct from other models, for example, the large cascading grille with high-set fog light. Its silhouette emphasizes the swooping roofline, unlike the boxy Alto K10. 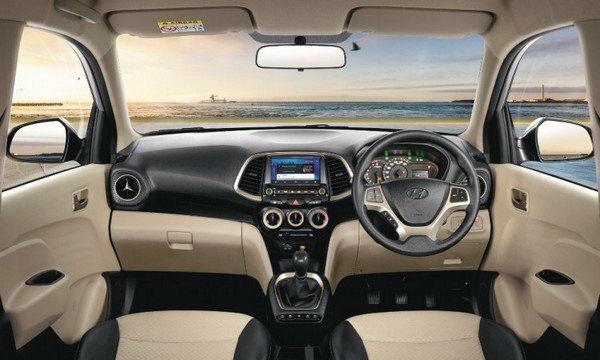 Hyundai Santro has done a great job in upgrading the interior quality. 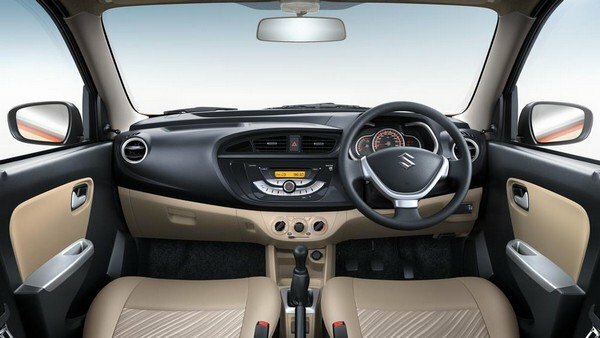 The cabin of the Santro feels premium, it is even comparable to cars from the higher segment and is better than the Alto K10. Not to mention that, with larger dimensions, Santro boasts a larger interior space, which could comfortably accommodate five passengers. Hyundai Santro draws power from the 1.1-litre engine which was used in the last Santro. This unit is able to develop 69PS of power and 99Nm of torque. Santro comes with both manual and automatic gearbox. Hyundai Santro’s petrol motor has four cylinders, edging out the Alto K10’s three-cylinder unit. The four-cylinder unit helps with a better riding quality and better performance than the three-cylinder cars. On the other hand, the Alto K10 is powered by a 1.0-litre engine that could produce 68Ps and 90Nm. Its peak power is smaller than the Santro by marginal 1PS, while its torque is 9Nm lesser than the Hyundai’s new hatchback. The power is delivered to the wheels via a 5-speed manual gearbox or a 5-speed automatic one. The best part about this engine is that it has a respectable mileage of 24.07kmpl, which is much higher than the Santro’s 20.3kmpl. It means that you can save a great deal on fuel filling besides the initial purchasing money. 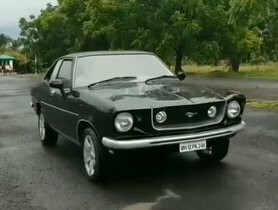 The best part is that both of them comes with automatic transmission and factory-fitted CNG kit. And the fact that ATM and CNG variants come at a very affordable price makes it even more appealing. Here we will pick out the pairs at the same price range so that you can better envision what your budget could offer. At the price of around 3.9 lakh, you can get either the base variant Hyundai Santro D-Lite or Maruti Suzuki Alto K10 VXi (O). The base Santro misses out on the important comfort features like AC system or basic entertainment function. On the positive note, the Santro D-Lite has an upper hand with a more proper safety kit including ABS and EBD. These safety features aren’t available in the Alto K10 VXI (O). From 4.1 lakh to 4.25 lakh, you can choose between three options, which are Hyundai Santro Era, Maruti Suzuki Alto K10 LXi CNG (O) and Maruti Suzuki Alto K10 LXi AGS (O). The most noteworthy difference is the powertrain that is deployed in each model. While Hyundai Santro Era comes with the manual petrol engine only, the Alto K10 VXi AGS (O) offers the automatic gearbox. 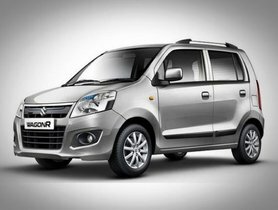 On the other hand, the Maruti Suzuki Alto K10 LXi CNG (O), of course, will come with the Factory-fitted CNG kit, making it more environmental-friendly, reduce your fuel cost. For the Alto K10 VXi AGS (O), customers also get access to some standard entertainment features like audio system with USB & Aux-In. But it still sleeps on most of the necessary safety techs like ABS and EBD. 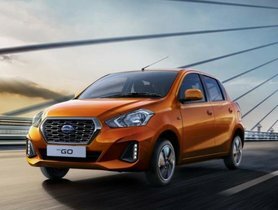 Hyundai Santro Vs Datsun GO Variants Comparison: Which Variant Is The Best Options For You? Hyundai Santro Old vs New: What are improved in the new Santro? 2018 Hyundai Santro vs Maruti Suzuki Wagon R: Which will be the next popular hatchback?